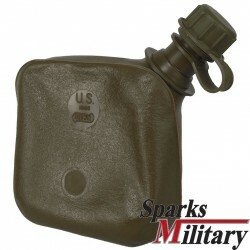 Army Arctic Canteen In cold weather, just as in tropical heat, soldiers outdoors need continuous hydration. In sub-zero weather, the military-standard plastic canteen is virtually worthless. 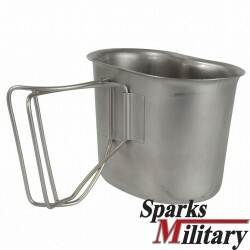 It freezes far too easily and has little ability to keep hot liquids at an elevated temperature. 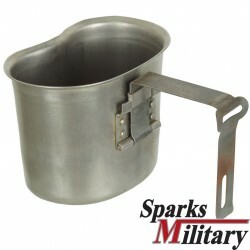 Metal canteens are just as bad, but do have the advantage that they can be heated directly on a stove. 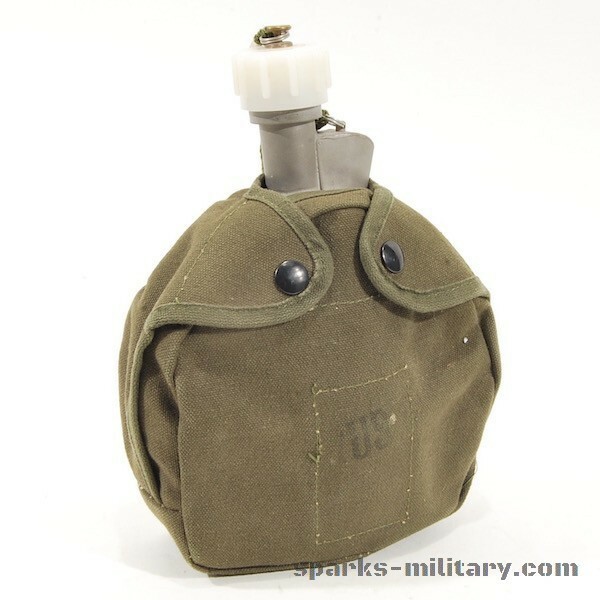 For these reasons, the U.S. military developed the one quart Arctic Canteen, with characteristics specifically tuned for cold weather operational requirements. 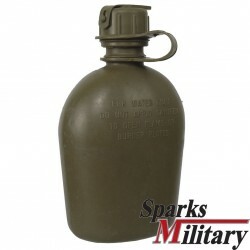 Referring to the first design, the Arctic Canteen is a one quart round-body, double-wall vacuum bottle with a white silicone mouthpiece and white polyethylene cap. 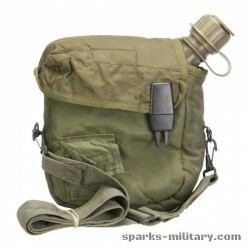 The cap is attached to a lug on the canteen neck by a nylon lanyard. 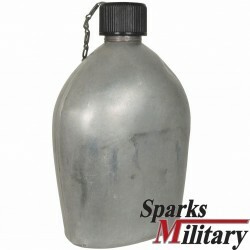 The inner wall of the canteen is stainless steel, while the exterior is aluminum. 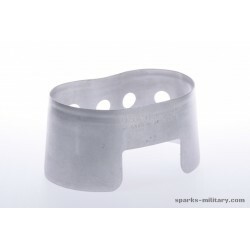 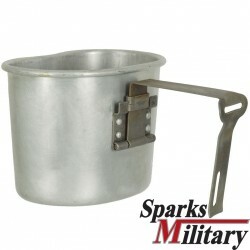 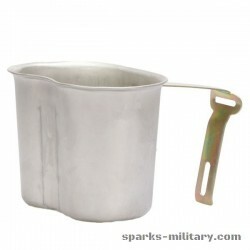 The two accessories are a stainless steel cup with folding flat-strap handle (not the same size or shape as the standard Army canteen cup), and a cover/carrier. 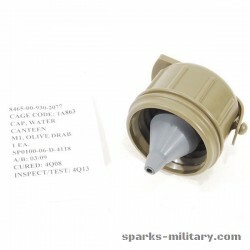 The canteen nests into the cup and both are contained together in the carrier. 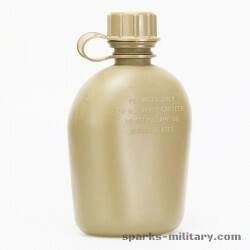 The Arctic Canteen is marked alongside its neck with US, the manufacturer (Wyott, VBC, ...), and the month and year it was produced. 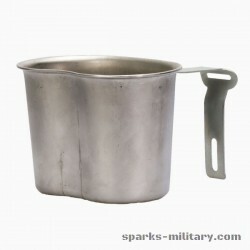 The Cup markings are on the handle: US and the manufacturer. 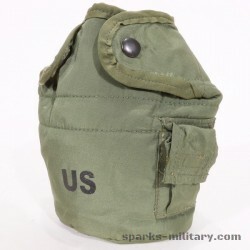 The canteen cover marking are similar to the standard canteen cover: On front, US; on back, nomenclature, contract, and stock number (FSN/NSN). 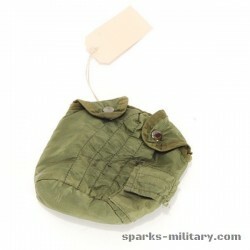 The early cover/carriers were cotton duck, later changed to nylon with a sewn label instead of stencilled markings. 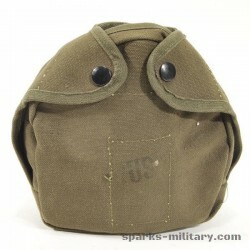 The cotton duck cover had an M1910 hook while the nylon cover was provided with two ALICE clips to attach to the Soldier’s equipment belt or load-carrying equipment. 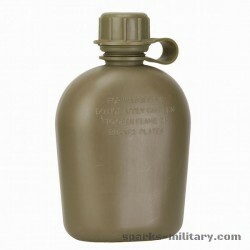 The Arctic Canteen covers were closed with two snaps. 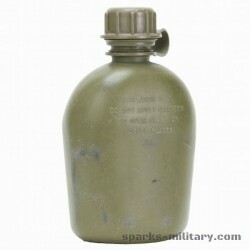 There is an adaptor kit (NSN 8465-01-278-3739) that converts the original Arctic Canteen cap and mouthpiece to the M1 canteen cap that can be used for canteen drinking via a gasmask drinking tube. 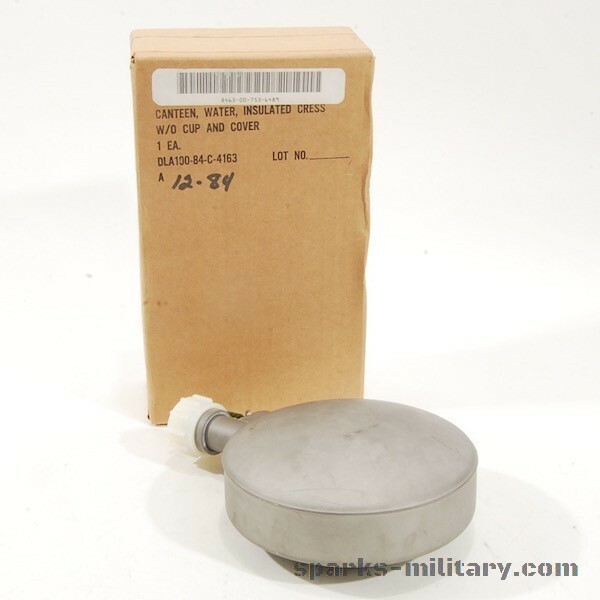 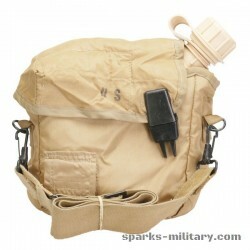 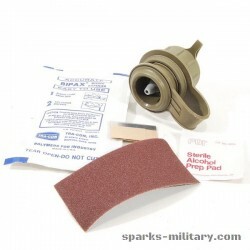 MIL-A-44264 Adapter Kit, M-1 Cap; for Canteen, Water, Insulated describes the part and the conversion procedure. 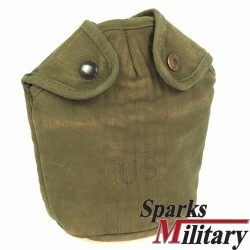 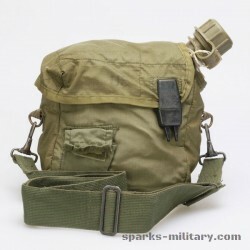 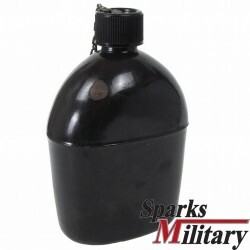 The original cap assembly, including the lanyard, is replaced by the M-1 cap and strap that are the same as a military-standard plastic canteen. 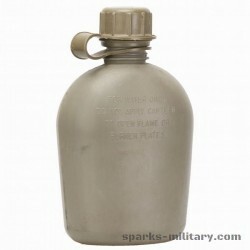 Military Canteen Used with Gas Mask Soldiers wearing Mission-Oriented Protective Posture (MOPP) gear must drink more water than usual to prevent heat stress. 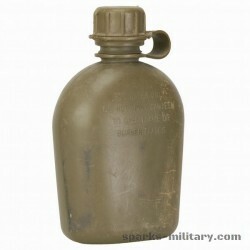 But for soldiers equipped with a protective mask (gasmask), the use of a water canteen becomes problematic. 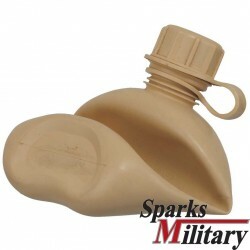 In order to drink, the mask must be removed, an action that risks exposure to toxic substances. 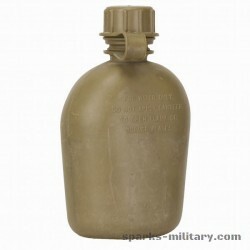 The solution to this problem is a drinking tube that connects a straw inside the mask to the canteen through a special canteen cap.